If you’re looking for a simple, no-fuss deodorant that does the job, this product is for you. 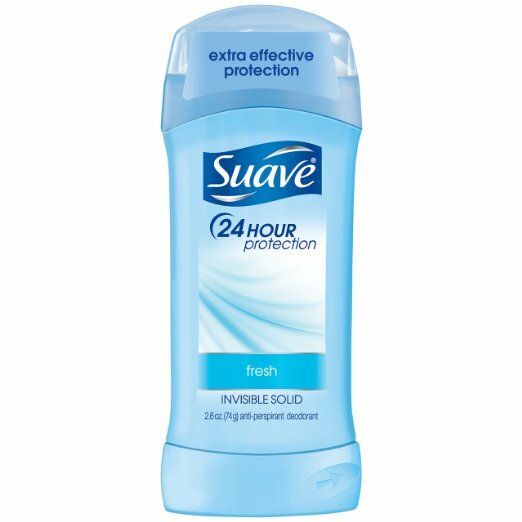 The Suave Shower Fresh Antiperspirant Deodorant protects you from sweat and keeps you odor-free for up to 24 hours. Many users attest to this, although some of them point out that they do need to reapply when they engage in heavy activity. One of the best thing about this product is its smell. Unlike other deodorants that have fancy scents, the Suave Shower Fresh Antiperspirant Deodorant comes with a subtle scent that can be described as “powdery and refreshing”. It’s a great option if you’re not a big fan of fruity or flowery scents. Since it’s not too overpowering, your underarms can smell fresh and clean without getting in the way of your cologne or perfume. Suave Shower Fresh Antiperspirant Deodorant is designed to go on clear, so it can keep you free from sweat and odor without leaving stains on your clothes. As an added bonus, it’s relatively cheaper than other underarm products, so you’ll stay fresh-smelling the whole day without spending too much. However, some users point out that one stick contains less product than what could fit in it, so you might need to shop more often. Need some? Get it on Amazon!